Day 1 & 2: Camping in the Xakanaxa/ 3rd Bridge Area of the Moremi Game Reserve & Okavango Delta. “Dumela / Hello! Welcome to Botswana!” We will be there to give you a warm Botswana welcome when you land at Maun Airport. You will meet your pilot for your stunning light aircraft scenic flight over the Okavango Delta and Chief’s Island. This flight gives you a fish eagle’s eye view of this amazing ecosystem. When you land at your remote bush airstrip within the Moremi Game Reserve, your guide will provide you with a snack pack on arrival and will be waiting to transfer you to your mobile camp with a game drive en route. The friendly, attentive staff will help you feel immediately at home and brief you on what to look forward to on your safari. 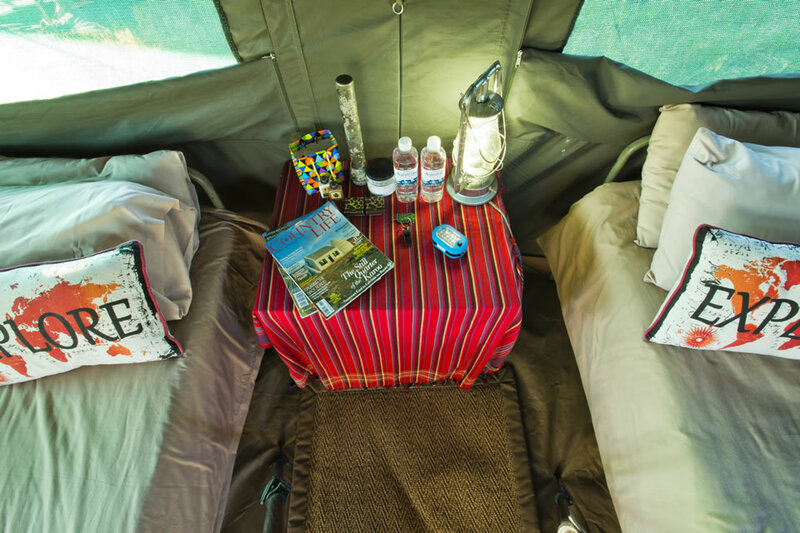 The magic of a mobile camp becomes apparent as the sun sets and you enjoy drinks around the fire before a starlit dinner and a great night’s rest after falling asleep to the sounds of the African bush. Spending our first two nights camping in the Xakanaxa / Third Bridge area, we explore the surrounding wilderness on game drives during the day. The Moremi Game Reserve protects around a third of the entire Okavango Delta ecosystem – some 5 000km2 (1 930 square miles). Following an early breakfast, we pack up the camp and continue our journey to Khwai, stopping for a bush picnic lunch en route. The Khwai River forms the boundary between the reserve and the local Khwai Community Area. We spend the next three nights camping at a campsite in Khwai area of Moremi Game Reserve. You will also experience a 2½-hour mokoro trip, discovering channels and lagoons at a relaxed pace in a traditional dug-out canoe. We head further north en route to Chobe National Park, were we spend the following three nights camping at a pristine bush campsite in the Savute region and exploring the dry landscape on game drives. Savute is an area that can change dramatically, with the character of the place changing completely depending on the flowing or drying up of the Savute Channel. In 2010, water from the Savute Channel reached the Marsh for the first time in three decades (after a long dry period during which resident lions learned to prey on elephants coming to drink at isolated waterholes). The presence of water can transform these dynamics and the only way to find out what will happen next, is to visit Savute with us and see for yourself! Leaving this parched landscape, we continue our journey north to the contrasting Chobe region of the park. We spend the last two nights camping in a wilderness campsite near the Chobe River, exploring the riverbanks and surrounding flood plains on game drives. On Day 9 you will enjoy an afternoon boat cruise on the Chobe River which departs from Kasane. Following breakfast and a short game drive your safari will end in Kasane at around 09h00. DISCLAIMER: Although we make every effort to adhere to the details of this itinerary and the listed activities, these are subject to change due to changing local conditions and factors outside of our control such as the weather and the condition of the roads, as well as availability. We reserve the right to substitute a motor boat cruise for the mokoro excursion where necessary. In the event of any necessary changes, we will always keep you informed. “Dumela / Hello! Welcome to Botswana!” We will be there to give you a warm Botswana welcome when you land at Kasane Airport. Our guide will help you feel immediately at home and brief you on what to look forward to on your safari. We will provide you with a snack pack before you depart on an afternoon boat cruise on your first afternoon on the Chobe River which departs from Kasane. Following the boat cruise we leave Kasane and start our journey driving at game drive pace and keeping an eye out for wildlife and birds. 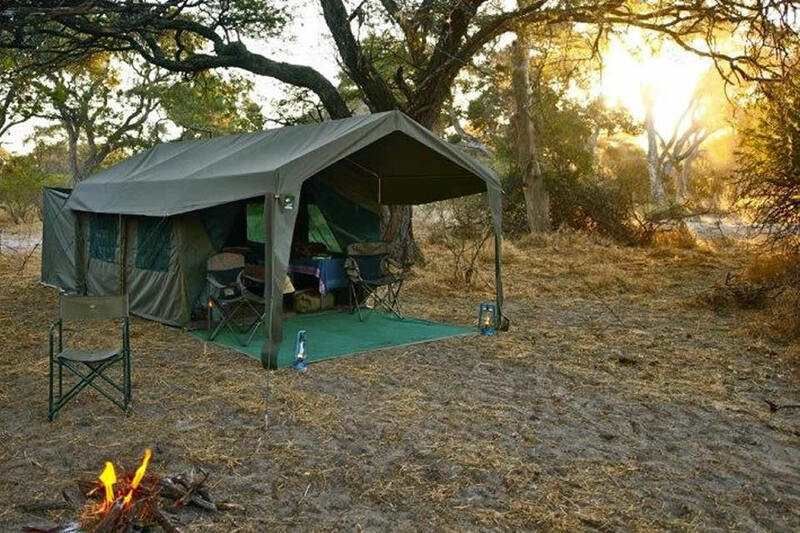 We spend the first two nights camping in a pristine bush campsite near the Chobe River, exploring the river banks and surrounding floodplains on game drives. 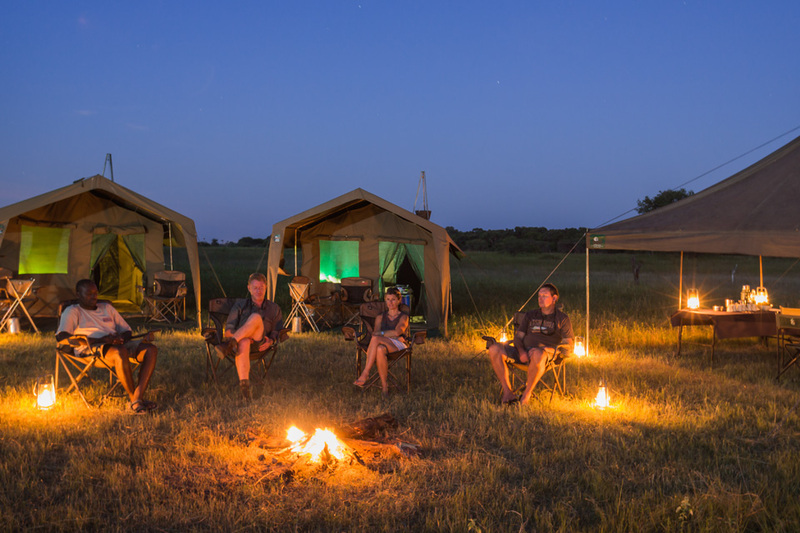 The magic of a mobile camp becomes apparent as the sun sets and you enjoy drinks around the fire before a starlit dinner and a great night’s rest after falling asleep to the sounds of the African bush. We head further south within Chobe National Park, were we spend the following three nights camping at a pristine bush campsite in the Savute region and exploring the dry landscape on game drives. Savute is an area that can change dramatically, with the character of the place changing completely depending on the flowing or drying up of the Savute Channel. In 2010, water from the Savute Channel reached the Marsh for the first time in three decades (after a long dry period during which resident lions learned to prey on elephants coming to drink at isolated waterholes). The presence of water can transform these dynamics and the only way to find out what will happen next, is to visit Savute with us and see for yourself! Following an early breakfast, we pack up the camp and continue our journey to Khwai, stopping for a bush picnic lunch en route. The Khwai River forms the boundary between the reserve and the local Khwai Community Area. 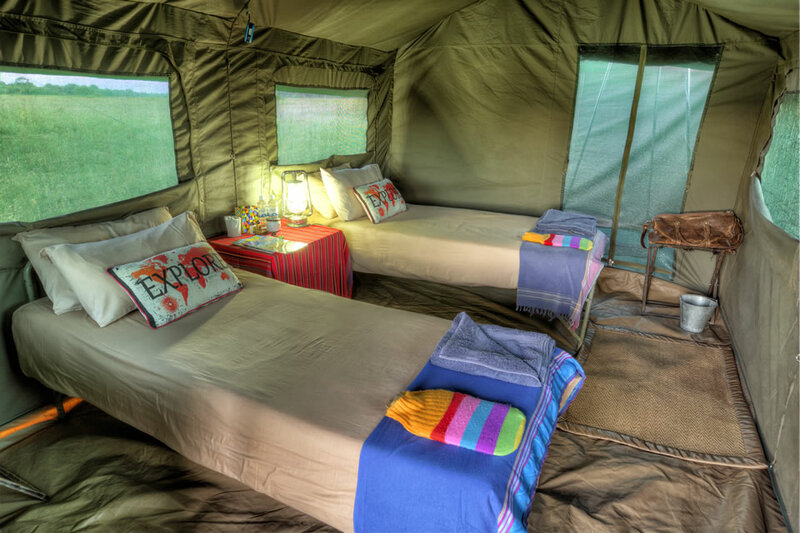 We spend the next three nights camping at a campsite in the Khwai area of Moremi Game Reserve. You will also experience a 2½-hour mokoro trip, discovering channels and lagoons at a relaxed pace in a traditional dug-out canoe. Day 9 & 10: Camping in the Xakanaxa/ 3rd Bridge Area of the Moremi Game Reserve & Okavango Delta. Spending our last two nights camping in the Xakanaxa / Third Bridge area, we explore the surrounding wilderness on game drives during the day. The Moremi Game Reserve protects around a third of the entire Okavango Delta ecosystem – some 5 000km2 (1 930 square miles). 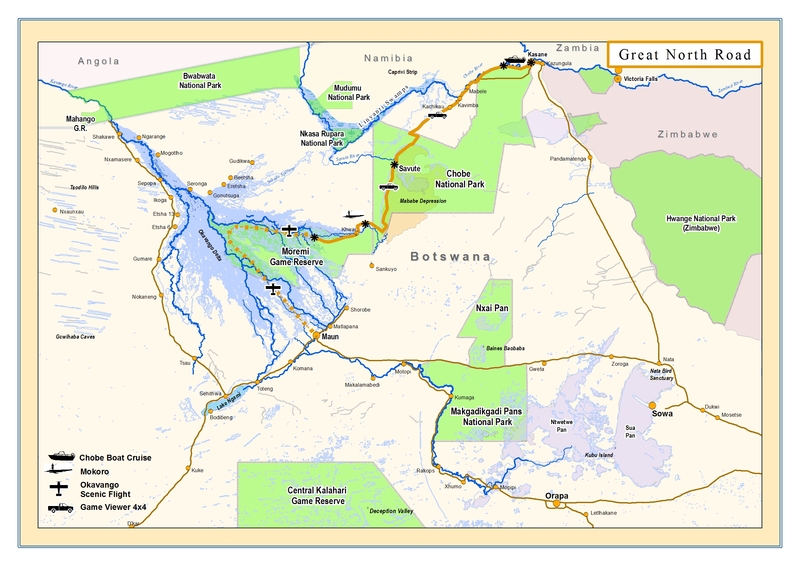 Following breakfast and a short game drive your guide will drop you at a bush airstrip to meet your pilot for your stunning light aircraft scenic flight over the Okavango Delta and Chief’s Island back to Maun. 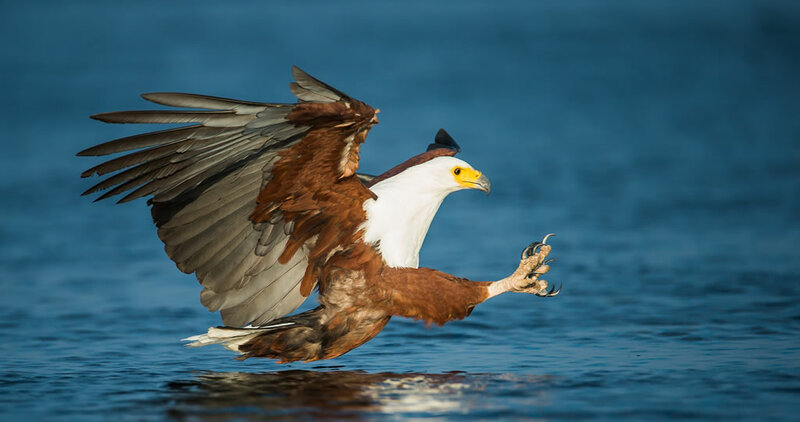 This flight gives you a fish eagle’s eye view of this amazing ecosystem. You will arrive in Maun around noon in time for the flights to Johannesburg. The Okavango is a unique ecosystem, an inland delta situated in the middle of the largest stretch of continuous sand in the world – the Kalahari basin. This wetland lies like an oasis in an otherwise inhospitable landscape. Where land and delta meet, a mosaic of pans, grasslands, forests and lagoons provide an extremely rich and diverse habitat in which a multitude of animals and birds flourish. This wetland is one of the natural wonders of the world, and is a fragile ecosystem that remains one of the world’s least spoilt and most beautiful wildernesses, and is home to various unique species e.g. sitatunga antelope and red lechwe. 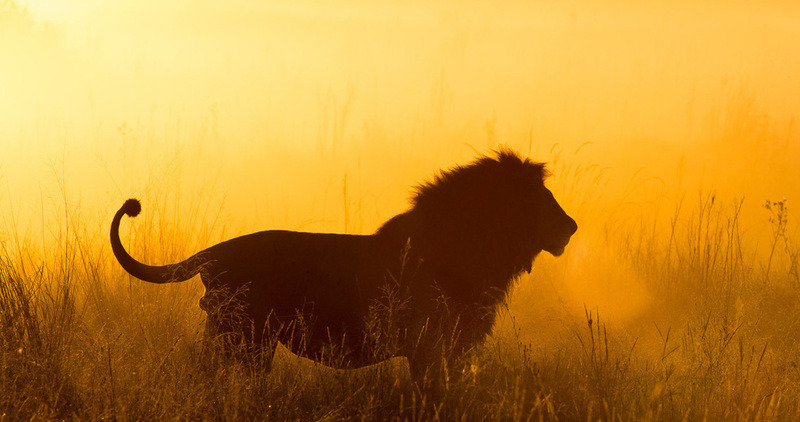 Moremi Game Reserve is situated in the eastern corner of the Okavango Delta. 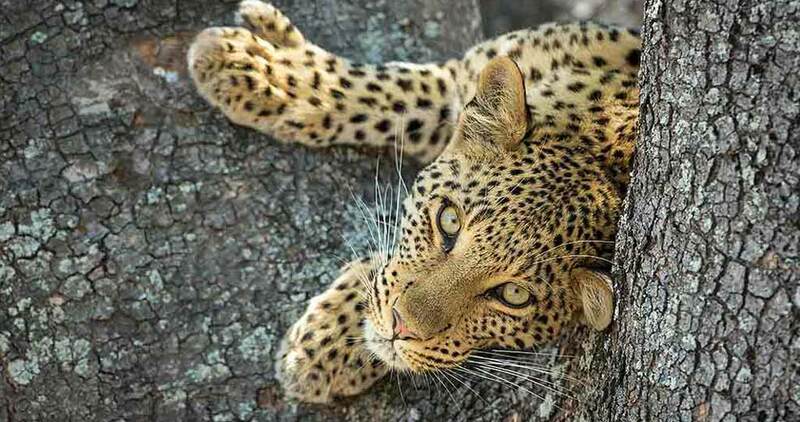 Moremi is one of the most beautiful and varied reserves found on the African continent with huge concentrations of wildlife and incredible scenery. The reserve consists of both swamped areas e.g. Xakanaxa, and dry-land areas e.g. Khwai. The Savute is characterised by the Savute Marsh, the Savute Channel and the Hills. During morning and late afternoon drives your guide will alternate between these areas. Anything can happen on the Savute Marsh and it’s best to get there early in the morning. A dominant feature of Savute are the Hills, one of which has a few perfectly preserved San bushmen paintings which are easily accessible. Savute has a very healthy population of leopard who live on these hills and the best time to see them is either first or last light as they leave their stony refuge to hunt in the surrounding bush. In sharp contrast to the lush Chobe River Front is the seemingly endless desolate landscape of the Savute, famous for the dry marsh, sand ridge and volcanic hills, which are unique to this area. The marsh once contained the waters of the Makgadikgadi superlake, and the most typical feature of the landscape is the abundance of dead trees – evidence of the erratic flow of the Savute channel over the years. 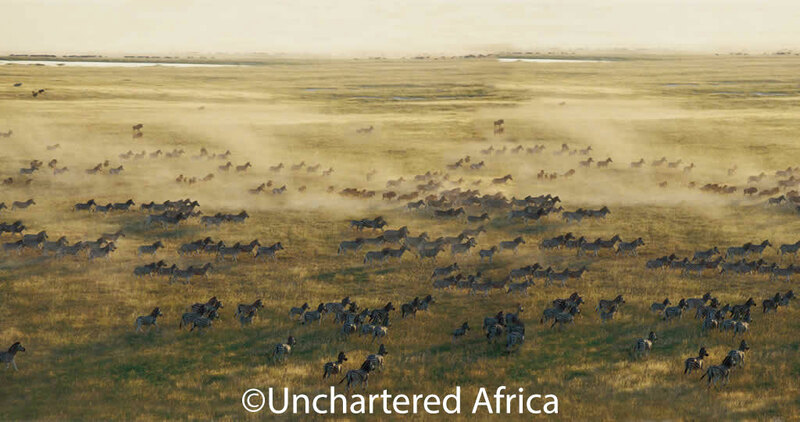 The area consists of large open game-filled plains, and is home to a variety of dry-land animals, including zebra, wildebeest, kudu, giraffe, wild dog, leopard, cheetah and lion. The Chobe National Park is one of Africa’s finest game sanctuaries. Situated in the far north of Botswana, Chobe encompasses a wide variety of diverse habitats offering extreme contrasts and is home to a breath-taking variety of animals and birds. The Chobe River Front is famous for its abundance of elephants – the highest concentration of elephants to be found anywhere in the world. Chobe is also famous for its huge herds of Buffalo, for its rich birdlife and for its exquisite sunsets – a wildlife experience not to be missed.